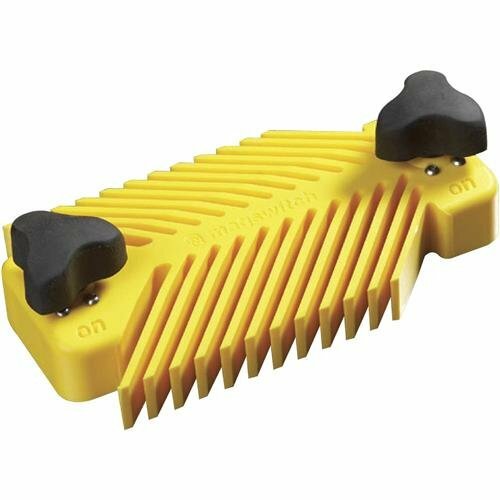 The most versatile featherboard ever. Use on any table or fence - no miter slot limitation. Features two on/off Magswitches, each with 95lbs of hold force. Use for a left or right feed; or an in or out feed on a table or fence. Incredibly fast setups plus precise positioning and tensioning. Use one on the table saw to keep long stock against the rip fence. 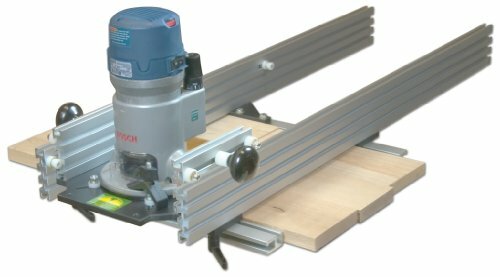 On router tables and shapers, use one before and after the cutter. Attach Feather-Locs to both the fence and the tabletop when routing long and thin stock on the router table. 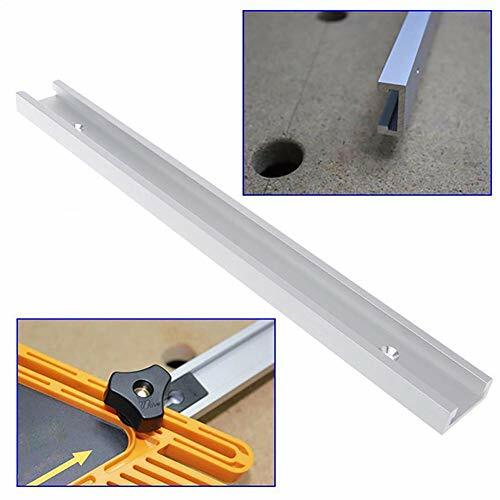 This unique featherboard can be quickly and easily connected to a miter slot or t-slot. A dramatic increase the accuracy,quality and safety of the cuts. that consistently produces cleaner cuts with less chance of kickback, chattering or lifting. The featherboard slide into miter-gauge slots in the router table or fence, and are locked in place by tightening a pair of knobs. It can also be used on a table saw, shaper, band saw or any other woodworking machine with a miter gauge slot. It holds hold the stock up tight against the surface of tool or fence while you run it through. Using a featherboard also offers safety benefits. Featherboard are Made from a HIGH-TECH POLYMER and each one has 13 ANGLED FINGERS that apply steady pressure that consistently produces cleaner cuts with less chance of kickback, chattering or lifting. 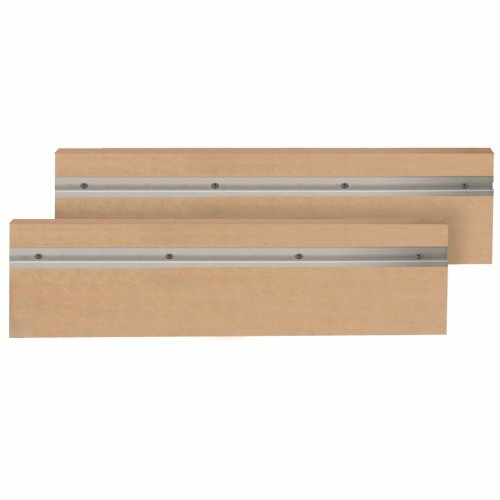 4 MITER BARS that fit most standard miter slots (3/8 x 3/4 Inch). Comes with wedge-lock hardware which works in t-slots or miter slots on tablesaws, router tables, band saws and more. 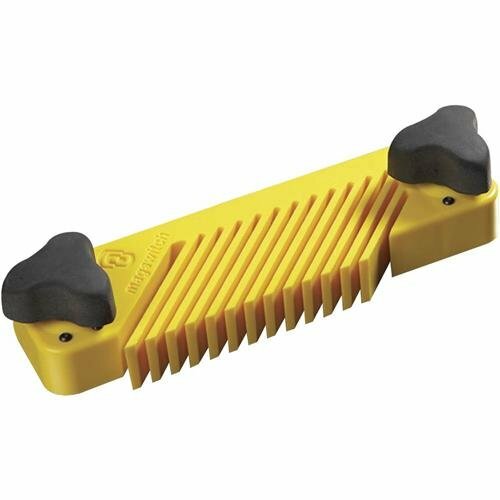 This unique Featherboard can be quickly QUICKLY and EASILY connected to a miter slot or t-slot. A dramatic increase the ACCURACY, QUALITY and SAFETY of the cuts. EASY to USE, EASY to INSALL and HIGHLY DURABLE. The Miles craft model 1406 Feather board features a dual slide motion design for quick and easy setup as well as a unique pre-load design that allows the appropriate amount of tension to be set consistently. The Feather board includes 3/4-inch and 5/8-inch Miter bars as well as T-Slot bolts allowing it to be used in nearly any application on router tables and table saws. The Deluxe Router Table fence kit is two MDF fence plates supported by a solid aluminum "L" fence with built in track will comfortably accommodate router bits up to 3-1/2 in diameter and comes with all the necessary parts for quick and simple assembly. The system is also equipped with a dust port that envelopes the opening between the two MDF fence sections. The mounting fence has a unique shim system; each side of the fence can be shimmed with an aluminum bar that is inserted into offset tracks of varying depth, which in turn nudges your fence forward to the desired depth. Tall adjustment knobs allow easy access for moving your fence forward and backward. This system is available in a 24" or 32" length. Table not included. Tall adjustment knobs allow easy access for moving your fence forward and backward. Magswitch Pro Fence Featherboard Holds Wood Down Where Your Fingers Don'T Belong.The Magswitch Fence Featherboard Is Perfect For Holding Wood Down When Attached To A Joiner Planer Or Shaper Fence.Also Used On The Right-Side Of A Table Saw Or Band Saw Blade.Low Profile And A Strong Hold Make This The Perfect Featherboard For Vertical And Right Side Applications. , Fast, Precise Positioning. , Perfect For Infeed/Outfeed Applications. , Keeps Work Firmly In Place. , Can Be Used With A Table Saw On The Right Side Of The Blade. , Features Two 30Mm Magswitches. Ideal for Fences - instant on/off magnetic featherboard. Features two Magswitches, each with 150lb/67kg of hold force. Fast, easy setup anywhere on a steel table or fence. Precise tensioning. JessEm router table fences glide smoothly in tracks and anchor firmly with a twist of the molded lock-down knobs. 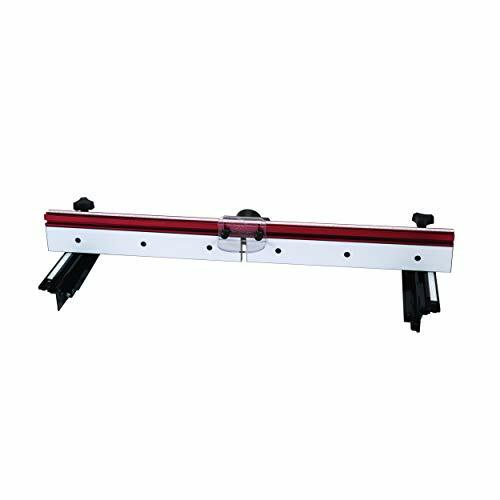 It is a precision machined aluminum extrusion with red anodized finish. The PVC coated MDF fence face adjusts for varying bit diameters and has extruded shim-bars for jointing type operations. There are two 1/4" T-tracks above the fence faces for anchoring accessories. The molded 2-1/4" dust collection port mates with most shop vacuum hoses. It fits router table tops from 24" to 32" wide and 1/2" to 1-1/2" thick. It is an update to the very popular original, featuring a dual track fastening system with adjustable scales and a horizontal scale along the top face of the 3-5/8" high router table fence. Our Planing Sled is an affordable solution for surfacing or milling live edge slabs, wide stock, butcher blocks or workbenches, removing a finish from a surface and other jobs impossible for a planer. Router & Bit NOT included. 3 tall Ultra Track aluminum rails support the router and won't deflect as you move the router back and forth over the stock. Router glides between the Ultra Track rails for front-to-back movement. You supply two wood rails, 12 to 16 longer than the work. No limit to the length of the work. Double Tracks glide on top of the wood rails and guide the router/Ultra Tracks from side-to-side. Includes a NoDrill Plate with a quick attach feature so your router can be quickly attached or removed. Router not insluded. Lifetime guarantee against defects in material or workmanship. Made in the USA! 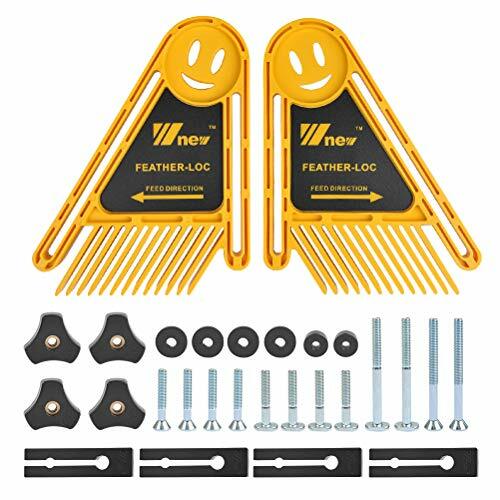 Why Use Featherboards? -- Safety First! 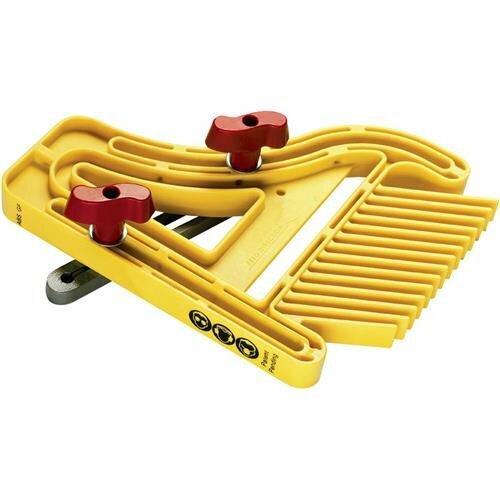 It holds hold the stock up tight against the surface of tool or fence while you run it through, it's adjustable and holds the board securely against the guide fence. 1 Featherboard is made from a high-tech polymer and each one has 13 angled fingers that apply steady pressure, that consistently produces cleaner cuts with less chance of kickback, chattering or lifting. 2 The featherboard is innovatively designed to provides consistent tension and maximum holding pressure created by unique split rail construction. 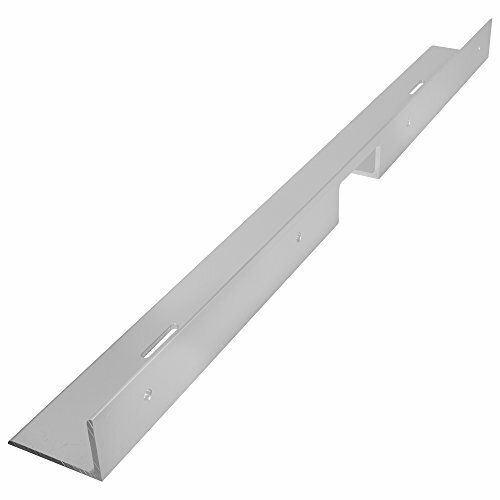 3 Each of 3/8" and 3/4" metal miter bars can fit all standard miter slots and T-Track Bolts. 4 Unique pre-load tension design can maintain consistent pressure across face of the featherboard, reducing the chance of kick-back. 5 Dual slide motion and S-style knobs provide quick, easy, and proper installation and prevent over-tightening damage to components. [Product Size] The Multi-purpose Double Feather boards thickness is 5/8 inch. There are two bolt slots, #1 6 1/2 and #2 4 3/4. the slot width is slightly larger than 1/4 inch. Router guide bushings change your hand-held router from an uncontrollable project destroyer into a precision milling machine. But, creating the jig you need to use guide bushings is an enormous chore that wastes time and material and hardly ever yields something that can be used again after the current project is complete. 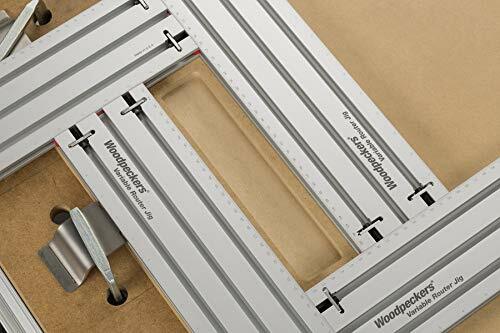 Woodpeckers new Variable Router Jig lets you create a perfectly square template any size from a couple inches up to 13" x 27". When you're done with that project, it instantly reconfigures to the next template you need. The Variable Router Jig and Router Guide Bushings Are a Perfect Match. 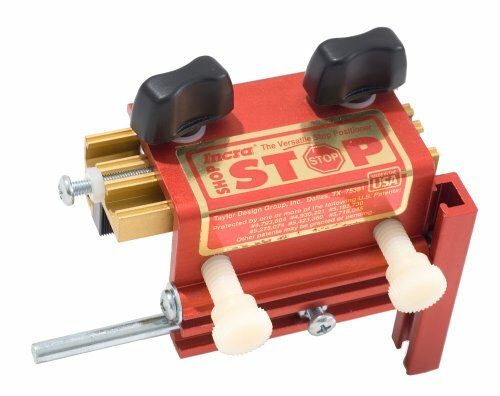 You'll keep this versatile jig right beside your set of router guide bushings, because every guide bushing operation needs a template, and the VRJ configures in minutes to any square or rectangular shape you want. Rout mortises for joinery. Mortise in hardware like hinges and locks. Rout dadoes for inlay work, adding visually stunning details to your projects. Fast Setup and Easy Reconfiguration. You can assemble the jig in minutes. Calculate the offset from your guide bushing to the edge of your router bit. Both metric and fractional scales are laser engraved on tracks. Put the scale you prefer on the inside, slide the lockbars into the edges, adjust to dimension, tighten the clamps with the supplied ball tip wrench and you're ready to rout. When you need to reconfigure for the next step, just loosen the socket head cap screws, slide the tracks to the new dimensions, lock it back up and get back to work. Hold It Right There! Of course, you have to clamp the jig in place along with the workpiece. 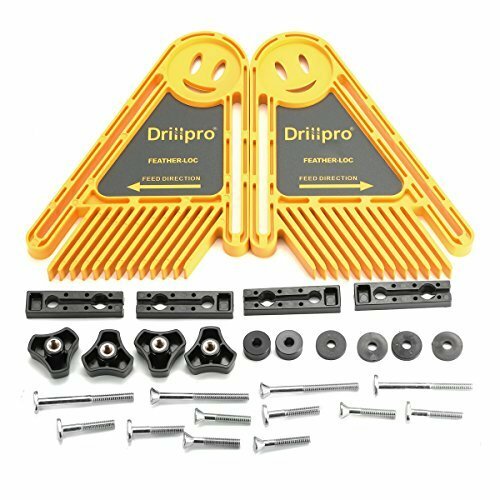 In the kit you'll find four clever hold-down brackets that slip into the edge of the track and allow you to clamp your work securely and quickly. If you're working on a perforated table like Festool's MFT, you can clamp your project without anything sticking above the level of the VRJ. 2. This product can be taken as many woodworking tools, and you can install it in the router table, fence and use for others. 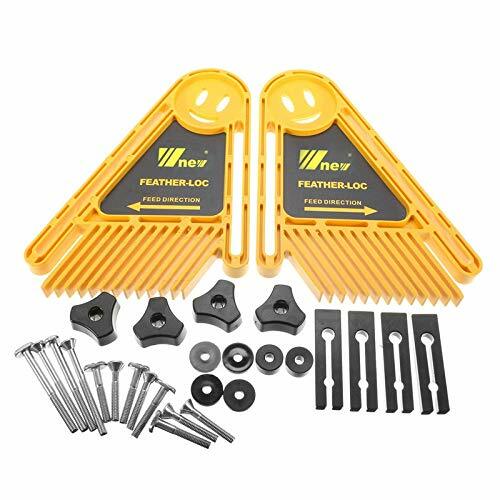 Featherboards Table Saw, Multi-Purpose Tools Set Double Featherboards Table Saws Router Tables Fences Electric Circular Saw DIY for Woodworking Tools Description: 100% brand new and high quality. 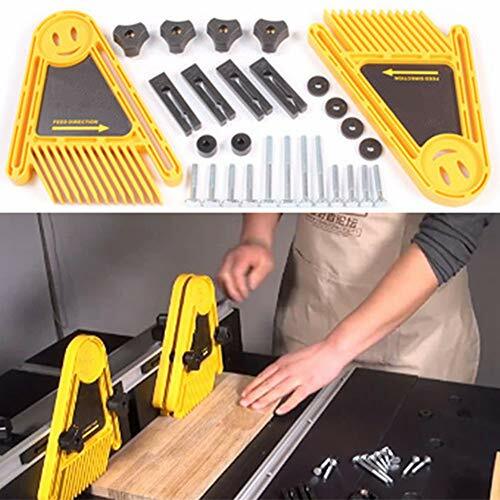 Easy set-up feature Unique miter gauge slot allows quick removal Multipurpose featherboard for holding the stock against the guide fence High tech polymer ensures it will maintain its original shape Advanced design means no marring to your workpiece Specifications: Product name: DIY Woodworking Tool Color:Yellow Material:Plastic Size:About Overall length: 210mm; thickness: 16mm Package Included: 1 Set* DIY Woodworking Tool Note: Transition: 1cm=10mm=0.39inch 1. Due to the light and screen difference, the item's color may be slightly different from the pictures. 2. Please allow 0.5-2 cm differences due to manual measurement. Material : High tech polymer ensures it will maintain its original shape ,and they can provide steady pressure which consistently produces cleaner cuts with less chance of kickback, chattering or lifting. 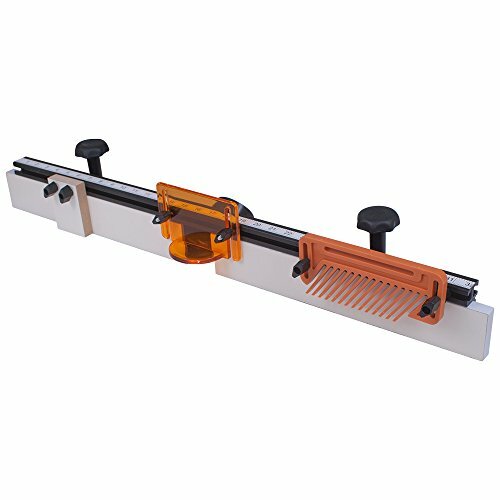 Universal Featherboard : Advanced design means no marring to your workpiece. This feather loc board is perfect for woodwork. 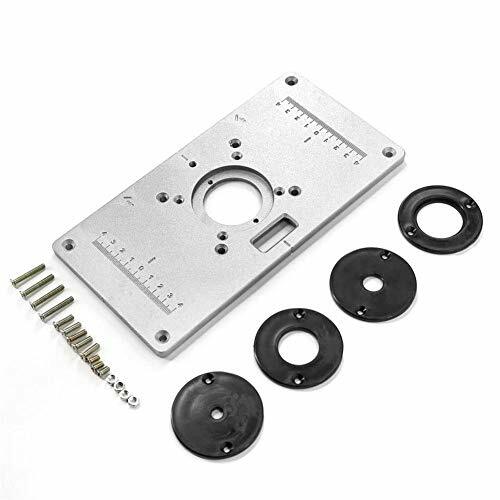 * Aluminum router table insert plate 700C for woodworking workbench. * Convenient center hole bushing for aligning the router so that it is centered on the drill hole. * Makes drilling accurate and easy to install any router. * Helps to expand the range of use of the trimmer. * Made of aluminum alloy, durable. The actual color of this product may differ slightly from the image displayed on the website, which is caused by many factors, such as the brightness and brightness of the display. Made of aluminum alloy, durable. Aluminum router table insert plate 700C for woodworking workbench. 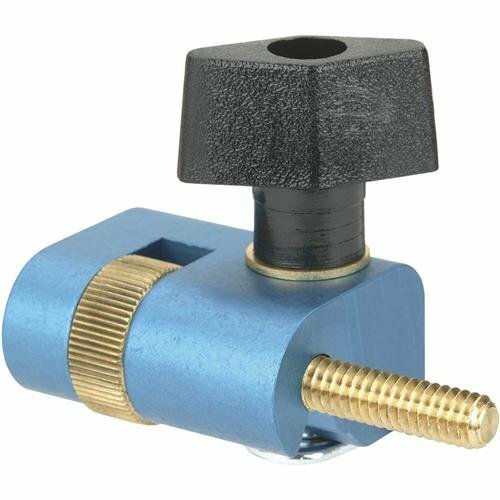 Convenient center hole bushing for aligning the router so that it is centered on the drill hole, makes drilling accurate and easy to install any router. Helps to expand the range of use of the trimmer.